Cost: Free; Open to everyone. Esther Gabara-professor of Romance Studies and Art, Art History & Visual Studies at Duke-is the guest curator for Pop América, 1965-1975, an exhibition developed by Duke's Nasher Museum (in collaboration with the McNay Art Museum in Texas). The exhibition "features nearly 100 works by a network of Latino/a and Latin American Pop artists connecting Argentina, Brazil, Chile, Colombia, Cuba, Mexico, Peru, Puerto Rico and the United States, introducing new historical frameworks that will reshape debates over Pop's political neutrality, social inclusiveness and aesthetic innovations in the United States." It will be on display at the Nasher from February 21 through July 21, 2019. 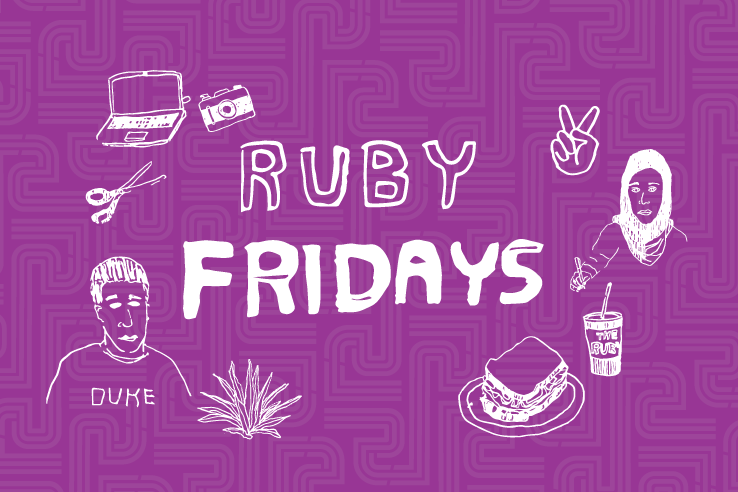 For her Ruby Friday talk, Gabara will speak about the exhibition and the work that made it possible-a large public humanities research project, which involved undergraduate and graduate students, faculty, and collaboration with international universities and museums. A notable feature of the exhibition's development was a portfolio of three courses offered in the Spring Semester of 2018, which gave Duke undergraduates the opportunity to pursue independent and collaborative research in the arts.